THE END OF AN ERA—THE "VOICE" OF ASTRONOMY. When Patrick Moore died aged 89 at around noon on 2012, December 9, to many the voice of astronomy for the past half century fell silent. But I knew Patrick long before he became an international celebrity; and in some respects I knew the man that few, perhaps, would have either seen or understood. This occasioned through chance of circumstance, as many things do in life. It was not until some six years later that I came to know Patrick well. By then I had become a Fellow of the RAS and spent a good deal of time both in the RAS and the Royal Society researching the first Astronomer Royal, John Flamstead. Also at this time I was working in civilian hospitals as an alternative to military National Service, having concluded my formal studies in mathematics and physics the previous year. Patrick housed his principle telescope—a large Newtonian reflector—in a run-off shed. All his instruments he made available to me at any time—the man was generous to a fault (literally). The one thing that impressed me from the start was Patrick’s emphasis on his amateur status. “I am a sub-editor” (his very words) “not an astronomer.” He appeared to be in some awe of those of us with academic credentials, especially in the field of mathematical sciences. (By then my work for BAA Computing Section was well known.) I would have to say, looking back, that Patrick was no more nor no less complex a character than the rest of us. He was modest, yes, but also justifiably proud of his achievements. 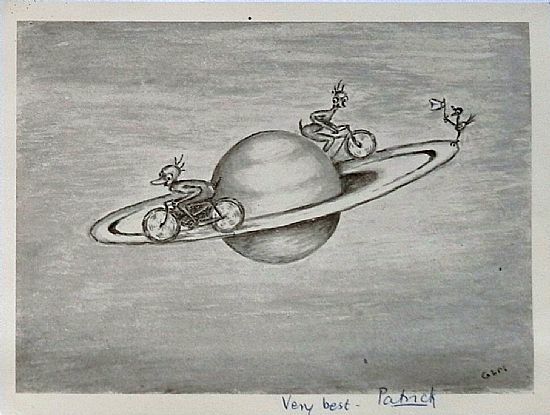 Where we differed was in our endurance of the limelight—Patrick thrived in it, I eschewed it, and as a result I turned down an offer on more than one occasion to appear on his famous television programme. Before I leave this personal, account I should like to mention how Patrick came to move from East Grinstead. In those early days his financial prospects were by no means on a firm footing. He took a post at the Armagh Planetarium but that didn’t last long. Again, like me, he was fiercely independent. (I also ditched my position at the London Planetarium at about the same time!) Both from writing, and his work for the BBC, Patrick began to secure a financial stability that was to grow in stature until his final moments. 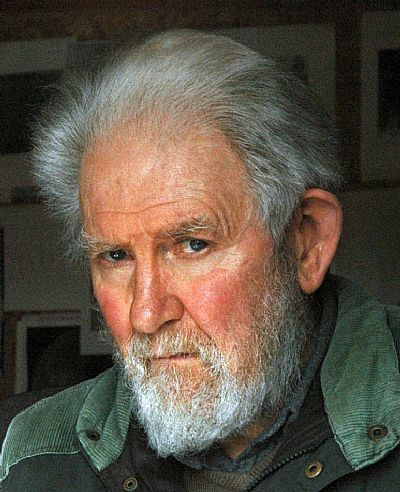 In 1960, or thereabouts, Patrick introduced me to Henry Brinton, a writer of fiction, who lived tight up to the seashore at Selsea. One weekend I stayed with Henry, his wife and two adopted children, at their home close by the sea. (Because of my use of spider webs for the micrometer I used for double stars, Henry and his children referred to me as the “Spider Man”.) It was not long before Patrick, with his aged mother and cats, became resident in Selsey. Sadly, Henry died a few years later. I moved to Wales in 1971 so that our contact was thenceforth through letter writing (no faxes or e-mails then). I had the impression from his letters and telephone conversations that Mrs Moore’s final years gave Patrick a good deal of anguish. It was about this time, too, that I was investigating Orkney as a possible site for the observation of the aurora and in that same year secured the purchase of Springfield on Rousay, where I now live. When the department in which I was working at the University College of Wales, Aberystwyth, closed in 1990, I went freelance again, eventually becoming a full-time resident in Orkney from 1997. Thus, living at two extreme locations in the UK, I never saw Patrick again. Our contact now was very sporadic and mostly by phone or letter. In 2010 I made a modest contribution to his final publication “Patrick Moore’s Data Book of Astronomy”, and that, some 48 years on from a similar contribution to the “Yearbook of Astronomy 1962” (editors: Porter and Moore), can be said to have closed a personal era for me. We shall all miss him! A new POLLUTION page has been created 12/12/04. Nomenclature (naming), and to give credit to the gentleman who first put a name to the phenomenon we shall be looking at this morning. AURORA: from the Latin “the light at the breaking of day (dawn)”. BOREALIS: from BOREAS, pertaining to the NORTH. Hence AURORA BOREALIS or NORTHERN LIGHTS. For southern Observers, where similar displays of light are to be seen in the corresponding southern polar latitudes: AURORA AUSTRINUS, or AUSTRALIS. The term AURORA BOREALIS was first applied to the feature by Pierre Gassendi (1592 – 1665) in the year 1621. 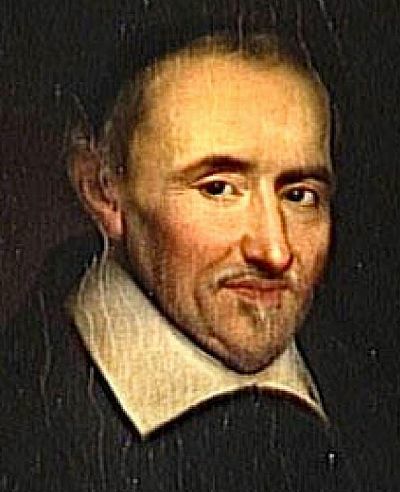 Gassendi was an outstanding French physicist and natural philosopher, one of the pioneers for the theory of “atomism”. Gassendi was the first person to observe a transit across the Sun’s disc of an inferior planet, namely Mercury (as predicted by Johannes Kepler) in November 1631, pre-dating Jermiah Horrocks’s observation of a transit of Venus by eight years. A number of folk have remarked upon a superficial resemblance between JCV and Gassendi. The nose, maybe? !